The USA look comfortable in the role of defending champions and favourites after the fourth round of 43rd Chess Olympiad. They took down team India 2.5-1.5. 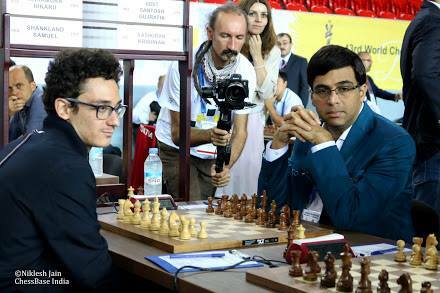 The mega clash between World no.2 Fabiano Caruana vs. Reigning World Rapid champion Viswanathan Anand ended in former’s favour. Facing Catalan opening, Anand entered into a slightly worse middlegame position. Few exchanges later, Black didn’t get a second chance. Anand soon resigned on move 26. 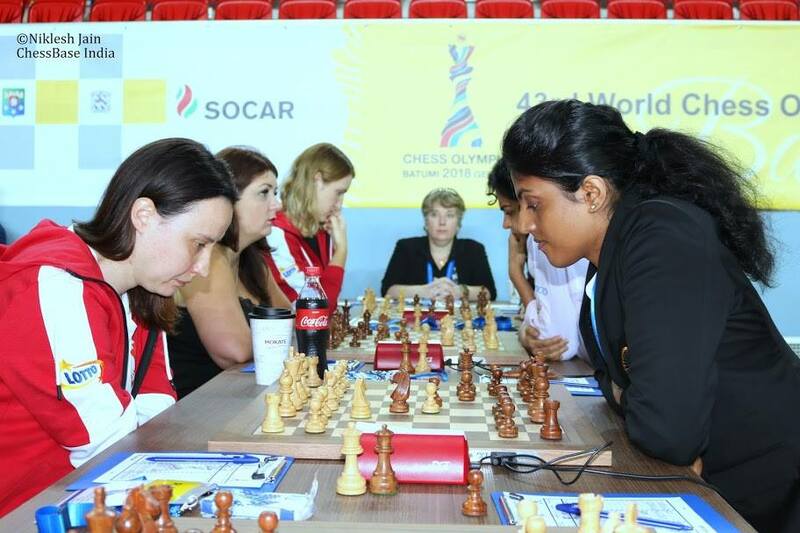 Playing with white pieces, P. Harikrishna on board two and Sasikiran Krishnan on board four had drawn their games. 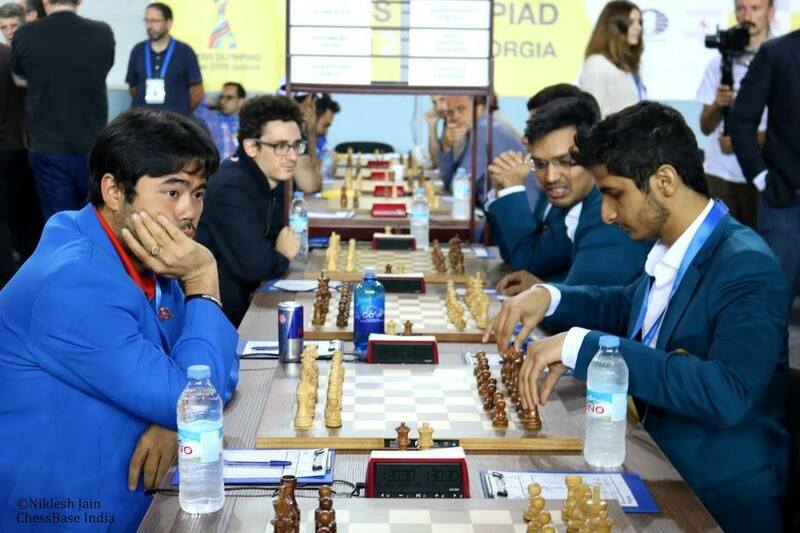 The game between Vidit Gujrathi and Hikaru Nakamura ended in an interesting draw. The fifth-seeded Indian women’s team won the fourth round 3-1 against Poland. 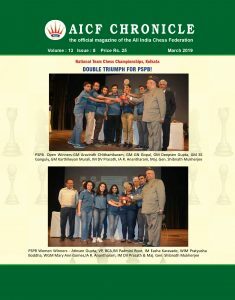 While India’s Harika Dronavalli and Tania Sachdev overpowered their opponents, Koneru Humpy and Eesha Karavade drew their games.